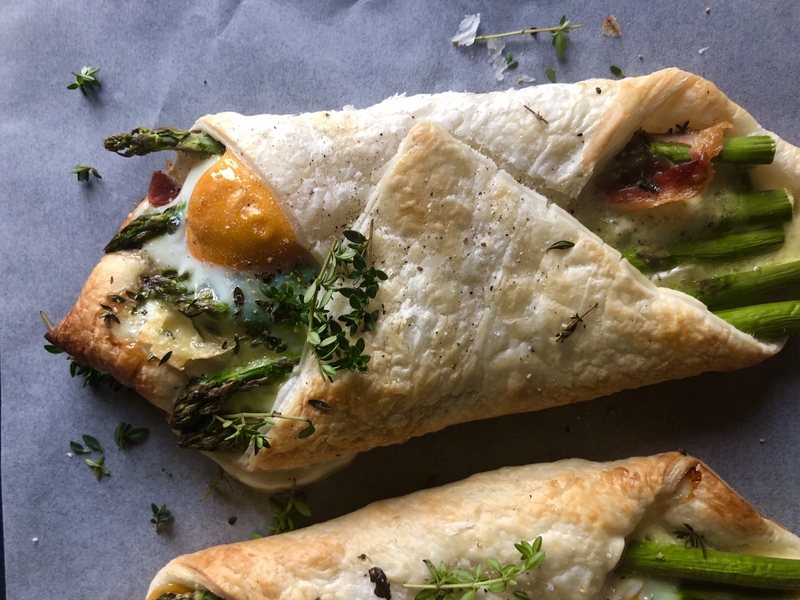 Crispy golden puff pastry, creamy oozing French brie cheese, salty crisp prosciutto and fresh green asparagus topped with a free range egg – what’s not to love! These simple tarts are delicious for breakfast, brunch, lunch or dinner and take no time to make. Pre-heat oven to 180 Celcius (350 Fahrenheit). To make the tarts, take two square sheets of puff pastry and trim one inch off the edge of each side. Place on baking paper in a diamond shape. Add brie slices to the middle of the pastry, layer on top with prosciutto and asparagus stems. Top with a free range egg and sprinkle with thyme leaves. Carefully take each side of the pastry and wrap together like a parcel. Brush pastry with milk and place in oven on baking paper. Bake for approximately 15 – 20 minutes until the pastry is golden and the asparagus is cooked through. Remove from oven and season with salt and pepper. Serve and enjoy! I Love To Cook & Makeup! This tart looks AMAZING and delicious! Tart me up! Can’t wait to make it; ingredients are going on the shopping list! Looks amazing, simple and great photos. I’ll have to try.